WoM is an independent website dedicated to one of the best multiplayer games in the history of computer games. M.U.L.E. 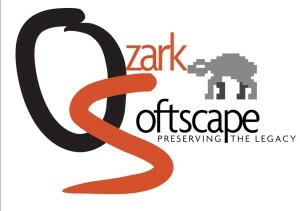 was created by Ozark Softscape in 1983, credited to Dan Bunten*, Bill Bunten, Jim Rushing, Alan Watson and Roy Glover. The effort I spend on digitally archiving “all things M.U.L.E.” is my bow before Ozark Softscape and especially Dani Bunten*, honoring her vision of computer games being a means to bring people together instead of being a hobby for lonely geeks. That vision sounds commonplace? Keep in mind that this vision was formulated in 1983, which is almost a decade before the internet came by, or multi-player games became commonplace! WoM has no intention at all to infringe any copyrights and/or trademarks. The sole purpose of this website is to keep alive the legacy of a great game and great game designers from the 20th century, as well as the materials created around that legacy which emphasize this legacy. This is to nurture the associated community of M.U.L.E.-loving people in the 21st century and beyond. If, however, you would like to see any content on WoM removed for whatever reason, please get in contact.